Most people think termites are the biggest danger to their homes, but carpenter ants can cause serious damage too. You might think a little ant is no big deal, but these household pests want to make your home their own. While most ants are a harmless nuisance, there are even a few types that can bite or sting. 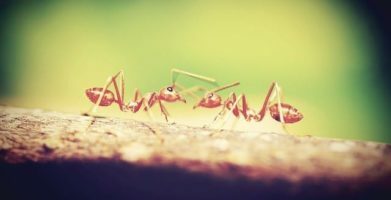 Keeping ants out of your home is the first step in preventing exposure to painful bites, and preserving your home from the costly structural damage carpenter ants can cause. What’s driving carpenter ants into your home? 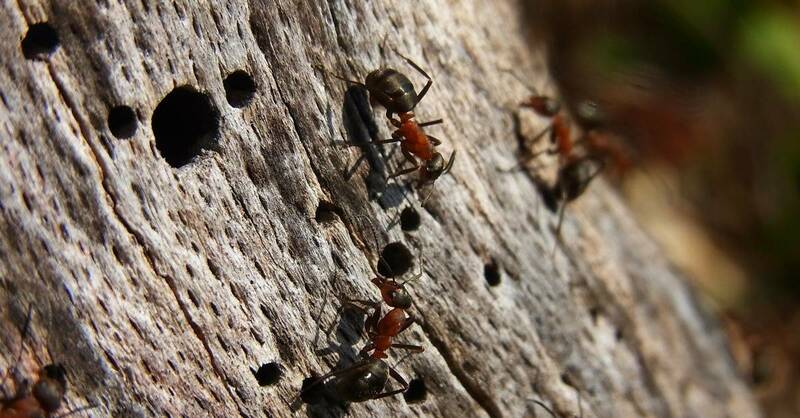 Like most things in nature, carpenter ants burst into action once the weather warms up. The queen of the colony will begin laying eggs, and worker ants will be busy finding food for the next generation. 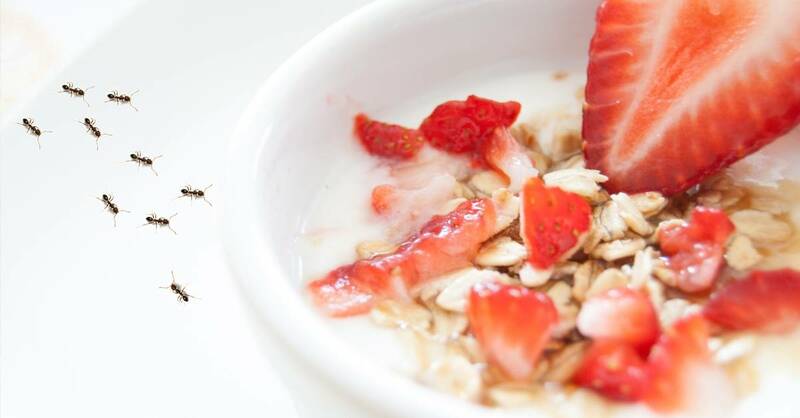 Carpenter ants eat almost anything, from sugary foods in your kitchen like jelly, syrup, baked goods and fruit to protein sources such as meat, cooked eggs, and other insects. Ant nests are usually found in moist wood such as tree roots and stumps, or in decaying logs, but they can also set up inside buildings near water leaks or blocked gutters. Even if the main parent nest is outdoors, satellite nests may appear in wooden porches, wall voids, attic rafters, and other areas inside homes. Houses built in wooded areas, or with earth-to-wood contacts like when a tree branch touches the building, are especially easy for ants to infest. You can recognize a carpenter ant infestation by the clean and smooth holes and tunnels in wood, almost as if they have been rubbed by sandpaper, and the small piles of wood shavings left behind. Note: Termites don’t leave wood scraps behind because they actually eat it, and unlike ants which are neat and clean, termites will track mud and dirt into their tunnels. Carpenter ants are some of the largest ants in North America, and they live in large groups. 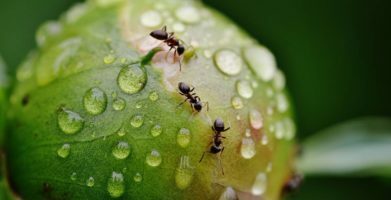 The different types of ants in a colony can be different sizes, ranging from worker ants that are about ½ an inch long, to the queen ant who may be nearly an inch long. Some carpenter ants have wings, but they rarely fly. Colonies can exist in one area for many years, starting with one parent nest and then expanding to include multiple satellite nests. New nests set up in nearby locations as the number of ants in a colony increase and the need for more territory and resources grow. Pest control professionals report that carpenter ant infestations are some of the most frequently encountered household pests and the most difficult to control. You can prevent pest problems and get rid of ants by eliminating the moist conditions that attract them. Remove tree stumps, logs, and rotting wood within 100 yards of your home. Keep gutters and rain spouts clear to ensure proper drainage. Leave space between your house and any shrubs or vegetation so there is no contact — ants use branches like highways to enter your home from outside. Ants use airborne odors to locate food, and they leave chemical trails for the fellow workers to follow to and from their nest. Keeping your home clean and storing food properly will help control ants by reducing their available food sources. 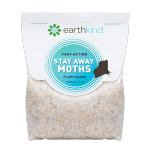 A natural ant repellent like Stay Away® Ants will stop carpenter ants from being able to detect the chemical trails other ants lay down, plus make the food near the repellent pouches seem less appealing. Unlike chemical pesticides, Stay Away is non-toxic and safe to use around children and pets. 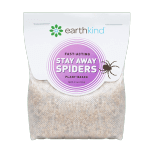 Natural pest control and prevention is the best way to get rid of ants. You can recognize a carpenter ant infestation by the clean and smooth holes and tunnels in wood, almost as if they have been rubbed by sandpaper, and the small piles of wood shavings left behind. Note: Termites don’t leave wood scraps behind because they actually eat it, and unlike ants which are neat and clean, termites will track mud and dirt into their tunnels. You can prevent pest problems and get rid of ants by eliminating the moist conditions that attract them. Leave space between your house and any shrubs or vegetation so there is no contact -- ants use branches like highways to enter your home from outside. Ants use airborne odors to locate food, and they leave chemical trails for the fellow workers to follow to and from their nest. Keeping your home clean and storing food properly will help control ants by reducing their available food sources. 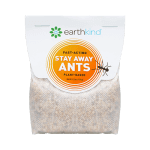 A natural ant repellent like Stay Away® Ants will stop carpenter ants from being able to detect the chemical trails other ants lay down, plus make the food near the repellent pouches seem less appealing. Unlike chemical pesticides, Stay Away is non-toxic and safe to use around children and pets. 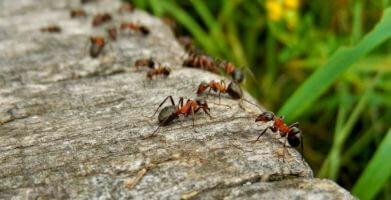 Natural pest control and prevention is the best way to get rid of ants. string(36) "Pest of the Month: The Carpenter Ant"